The NCAA Basketball Tournament has reached the Final Four, with three pre-tournament favorites and another perennial contender still in the running for a national championship. 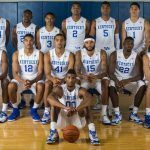 But while nobody would deny that anyone could win at this stage, it’s the Kentucky Wildcats that are the clear favorite heading into the final stage of the biggest college sporting event of the year. Kentucky survived a classic battle with Notre Dame in the Elite Eight to win 68-66, after taking the lead on two free throws with just six seconds left and holding on thanks to a missed three-pointer from the Fighting Irish in the dying moments of the game. It was one of Kentucky’s biggest tests of the year, and the Wildcats spent much of the second half trailing before walking away with a hard-earned victory. The win takes Kentucky to 38-0, and leaves them just two wins away from finishing a flawless undefeated season. 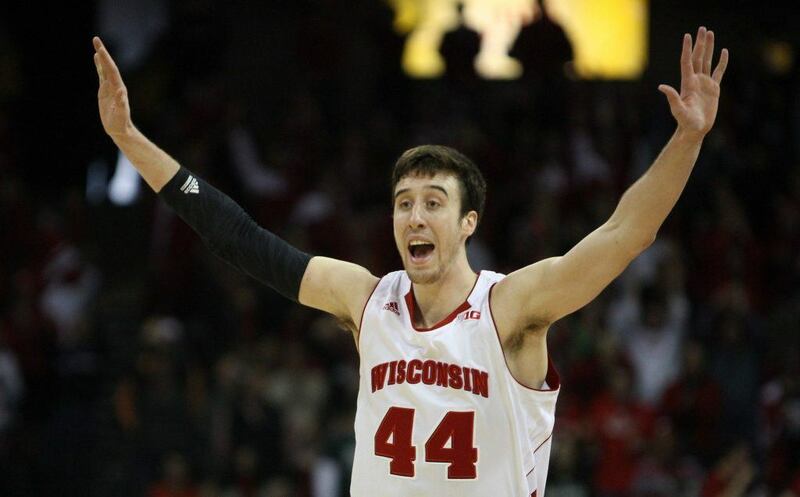 But the rest of the way won’t be easy for the tournament favorites: in the national semifinals, they’ll face the Wisconsin Badgers, led by likely national Player of the Year Frank Kaminsky. The seven-foot forward is having an outstanding season, and has the ability to take over a game by himself. The game is a rematch of a Final Four meeting last year, when Kentucky won 74-73 to advance to the finals. Oddsmakers may feel that Kentucky is the favorite to win this game, but they’re expecting it to be rather close. While Kentucky opened as a 6.5 point favorite at most sports books, the early money flooded in on Wisconsin, pushing the line down to about five points for many bookmakers. In the other semifinal, the Duke Blue Devils have been installed as a 4.5-point favorites over the Michigan State Spartans. While both schools are regular fixtures in the Final Four, they took different routes this year: Duke came in as a top seed, while Michigan State was just the seventh-seeded team in their region, making them the relative Cinderella of the Final Four. Despite having perhaps their toughest matchup of the year ahead of them, Kentucky is still considered the clear favorite to walk away from the tournament with a championship. Most oddsmakers have the Wildcats as a 4/5 favorite to win the title, making them a slight favorite over the field. Wisconsin is likely seen as the second best team remaining at this point, but the fact that they are playing Kentucky first has pushed their odds down somewhat: they can be backed at 4/1, while Duke, which seemingly has a more favorable matchup, is available at 7/2 odds. The longshot is Michigan State, which is considered an 8/1 underdog to pull off two upsets and win the national championship. That’s still a big change for the Spartans, who were listed at 100-1 before the tournament began. 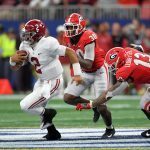 According to William Hill, they took two bets on Michigan State at those odds for $200 each, bets that would pay out $20,000 each should the Spartans win out. An even more popular bet could pay out for big money if Kentucky wins their final two games. Last summer, William Hill offered 50-1 odds against Kentucky finishing the year undefeated. Many people took that bet, and the bookmaker is now facing a liability in the hundreds of thousands of dollars should the Wildcats finish off their magical year. “We’re stuck rooting for Wisconsin,” said Nick Bogdanovich, director of trading for William Hill.